This node gives maximum freedom to create a linear composition between two terrains using a mask applied to the second terrain. 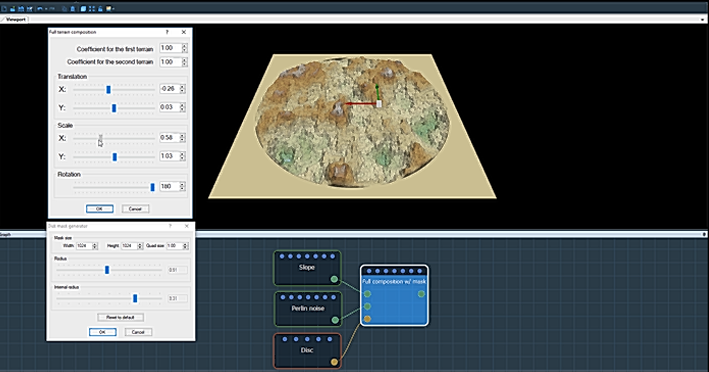 The principle is the same as the Composition with mask node, but the second terrain can be translated in the X and Y axes, scaled, and rotated before composing it with the first terrain. 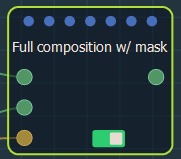 To add a Full composition node, right click in the Graph Editor and select Create Node > Terrain Composition > Full composition using mask. If the size or resolution of the mask is not equal to that of the output terrain, the mask is automatically enlarged or reduced so that its size corresponds exactly to that of the output terrain. 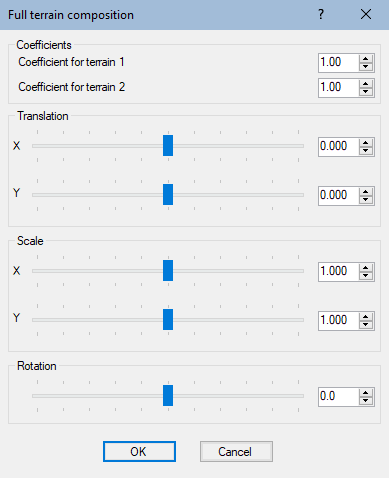 Edit the coefficients in the parameters dialog and see the terrain change in real time. 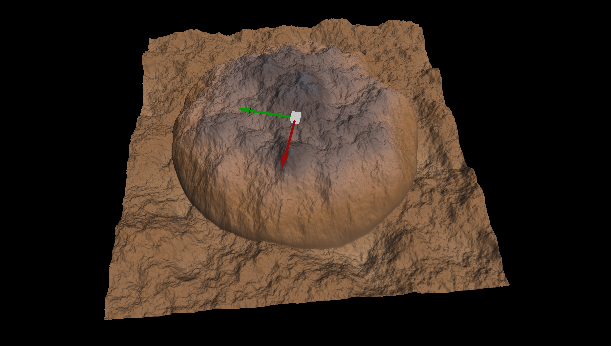 Translation: Translates the second input terrain along the X or Y axis before composing it with the first terrain. - A value of 0 positions the center of the second input terrain at the center of the output terrain. - An X value of -1 positions the center of the second input terrain on the left edge of the output terrain. - A Y value of 1 positions the center of the second input terrain on the right edge of the output terrain. Watch our Composition using mask nodes video tutorial, which explains how the Full composition using mask node and the Composition using mask node work.